Hip-hop group Massive Attack were scheduled to tour this month to celebrate the 20th anniversary of their 1998 record, however, “due to illness,” the outing will be rescheduled for fall 2019. “The band are deeply sorry for any inconvenience and are looking forward to bringing the show to the USA and Canada soon,” a press release says, noting that all current tickets will be valid for the new shows. The illness was not specified. The tour, originally set to run from March 11 to April 2, will now kick-off in San Diego, California on September 1. They’ll hit cities like Chicago, Toronto, Boston, and Washington, D.C. along the way before wrapping-up with a two-night show at New York City’s Radio City Music Hall on September 26 and 27. They are still slated to perform at Ceremonia Festival in Toluca, Mexico on April 6. Mezzanine, released nearly 20 years ago, is one of Massive Attack’s most successful album, featuring singles “Teardrop” and “Angel.” The group went on to produce 100th Window and Unleashed OST, but haven’t released new music since 2010’s Heligoland. 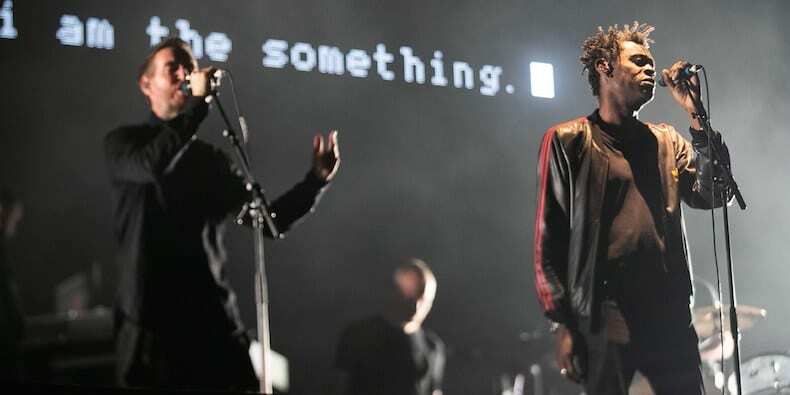 Massive Attack frontman Robert Del Naja describes the Mezzanine Tour as the band’s “own personalized nostalgia nightmare head trip which features a new audiovisual production from their longtime collaborator Adam Curtis. “The show tells the story of the strange journey we have all been on over the past twenty years since Mezzanine was released: How we have moved into a strange backward-looking world, enclosed by machines that read our data and predict our every move, haunted by ghosts from the past,” Curtis said. Check out the full list of cancelled and rescheduled shows below.